Shridhar is the CEO and Co-Founder of Senseforth, an AI Platform for Intelligent Assistants. Senseforth mimics human cognitive ability in understanding and actionizing user intent. As an alumnus of National Institute of Design, and IIM, Calcutta, Shridhar brings on board a unique blend of B-School strategy and D-School thinking. Currently pursuing his PhD, his interests range from film making to technology writing. Can super intelligence and emotional intelligence co-exist? 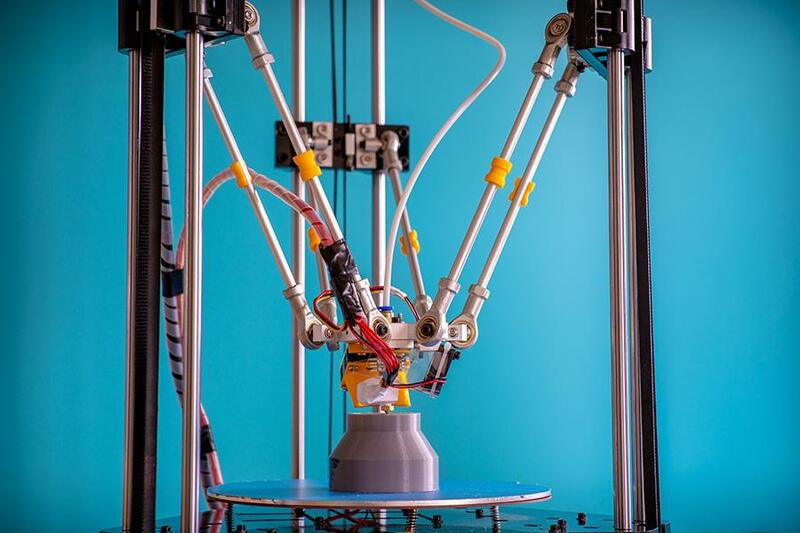 3D printing is one of the most cutting-edge technologies currently being used in manufacturing. Though most people are already familiar with the idea of printing plastics, many other materials can also be printed into useful objects. Here are three of the lesser-known but still incredibly useful and interesting materials that modern 3D printers can work with. Although it may seem impossible to 3D-print wood, material scientists have successfully developed methods for making objects from wood-based materials using 3D printers. Two primary methods currently exist for printing wood, both of which use finely ground wood fibers. The first is a process that involves an Selective Laser Sintering (SLS) 3D printer. In this variation of wood 3D printing, a wood-based powder is laid down in layers and then sintered with a highly focused laser. A simpler method uses Fused Deposition Modeling (FDM) technology. For use in FDM printers, wood fibers are combined with a polymer binder to make a 3D printing filament, which can then be printed in a manner very similar to basic plastic fibers. Wood 3D printing is a technology that is still very much in its early stages. However, it has already become usable for applications such as printing architectural models. 3D printing, being an additive manufacturing process, contrasts sharply with the normal process of subtracting material from a block of wood in woodworking. As a result, 3D printing using wood-based materials allows for the creation of wooden objects that would be virtually impossible to make with traditional woodworking techniques. Unlike wood, concrete lends itself reasonably well to 3D printing because it is laid down in a semi-liquid state and then allowed to harden. When used in a 3D printer, concrete is laid down one layer at a time using an extruding nozzle, usually with mortar printed in between layers. For reinforcement, steel rods or wire can be pushed into the concrete before it dries. Printers made for use with concrete are extremely large, which makes it possible to print functional construction parts. This process allows for concrete parts to be made with substantially greater detail and complexity than a traditional molding process can produce. 3D printing of concrete has already proven to be extremely useful in facilitating high-quality, cost-effective construction. Concrete 3D printing technology was used to create a pedestrian bridge in The Netherlands with very little wasted material. Even more impressive was the printing of a complete house in Russia by a startup company called Apis Cor. The superstructure of the house was printed in just over 24 hours. Thanks to the material cost savings associated with 3D printing, the entire house cost is just over $10,000 to construct. By its nature, ceramic is a material that can't be created in a single process. The raw material, however, can be laid down with a highly specialised 3D printing technique. This technique involves the building up of layers of ceramic powder held together with an organic binder. Alternatively, some SLS printers can sinter layers of ceramic powder together with a laser. Once the piece has been printed, a finishing process must be employed to complete it. First, the printed ceramic object is taken from the printer and placed in a drying oven. Afterwards, it is fired two more times, each with successively higher levels of heat. These firings melt the ceramic particles and allow them to bind together into a strong and fused solid. This process, though more labor-intensive than other 3D printing techniques, allows for the creation of complex ceramic parts that can be used in a wide range of industrial applications. Ceramic 3D printing is also useful in creating pieces of art that would be difficult to shape from ceramics using more traditional methods. The author is CEO and Co-Founder of Senseforth Inc.